DC Modified Hyundai Creta - A Really Weird and Wacky Modification! All those who’ve been regularly visitors to CarblogIndia would probably know that we keep a keen eye on notable cars and bikes modifications happening across the country. While most of these modifications that we have featured here are tastefully crafted specimens that go on to enhance the visual appeal of their donor vehicle, some of these modifictions even offer a higher level of performance. Most of these modified cars and bikes are owned by passionate owners who have spent a lot of time and money on tweaking their rides. The car we have here today, however, isn’t exactly another of such private modifications. 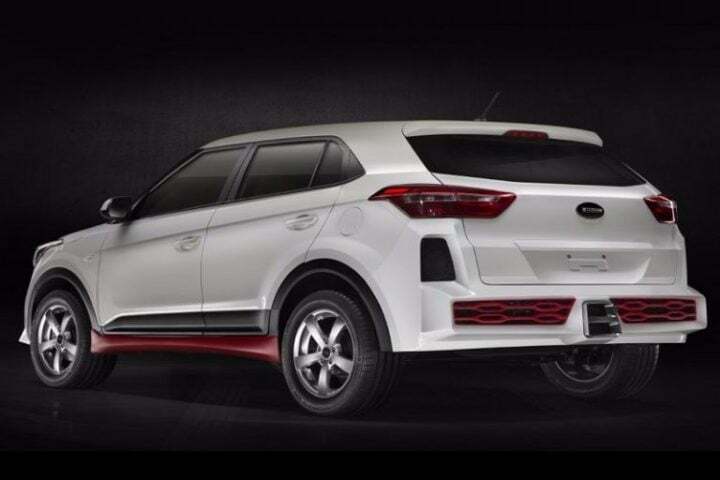 The DC modified Hyundai Creta comes kitted out with a body kit that can be purchased from famous car modifier Dilip Chabbaria. 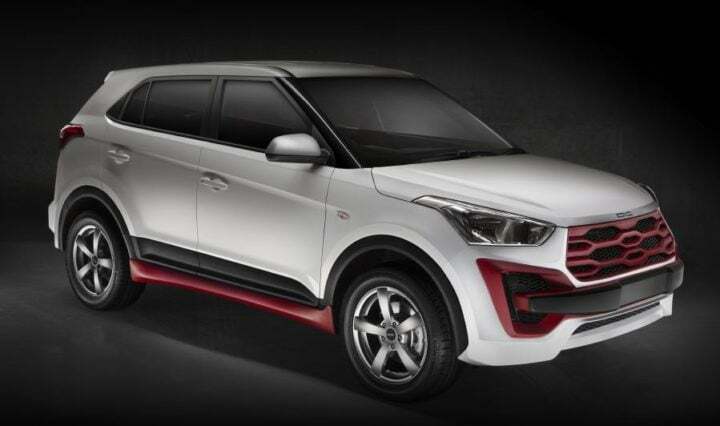 Yes, the car you have here is indeed a Hyundai Creta that has looks rather weird in another attempt by DC to ‘improve’ the visual appeal of a popular car. Read on for full details on the DC modified Hyundai Creta SUV. There’s no news on any possible performance enhancement. The DC Modified Hyundai Creta, akin to many other DC creations, should appeal to all those who want their Creta to grab eyeballs (for all the wrong reasons). Stay tuned to CarBlogIndia for more posts on modified cars in India.